We’ll begin our Class AA previews with the defending champions at Cushing Academy. The Penguins made a Cinderella type run last year under first year head coach James Cormier, not just winning the AA crown but also qualifying for the National Prep Championship. Lots has changed since last year though, most notably the graduation of Wabissa Bede, who is now a freshman at Virginia Tech. Bede wasn’t just a consensus top 100 national prospect, but he was arguably the best leader in New England, maybe the best leader New England had seen in several years. Class AA of the NEPSAC has seen three different champions in the last three seasons, but there isn’t a program that can come close to matching the sustained excellent of the Tilton School over the last 10 or 15 years. Under head coach Marcus O’Neil, Tilton won NEPSAC Class B championships in 2004, 2008, 2009, and 2010. They also won the National Prep Championship in 2009, an unprecedented achievement for a program not competing in the highest class within their respective league, and one which may never be duplicated. In recent years, Tilton may not boast the same amount of future NBA players that they once had when Nerlens Noel, Georges Niang, and Wayne Selden took the court but they’ve nonetheless sustained a standard of winning that has been unmatched since NEPSAC realignment created Class AA. The Rams have been to the AA finals in four of the last seven seasons, winning championships in 2011 and 2015, and never missing the post-season. ...Last year, the task of replacing Bruce Brown proved to be almost impossible, even for a roster that featured numerous high-major prospects. The team struggled to live up to the pre-season expectations that the talent of their roster created and ended up learning valuable lessons along the way. This year, head coach Alex Popp has once again built a roster capable of playing with absolutely anyone at any prep level, but appears to have created a group with clearer role differentiation not to mention more unselfishness and continuity. 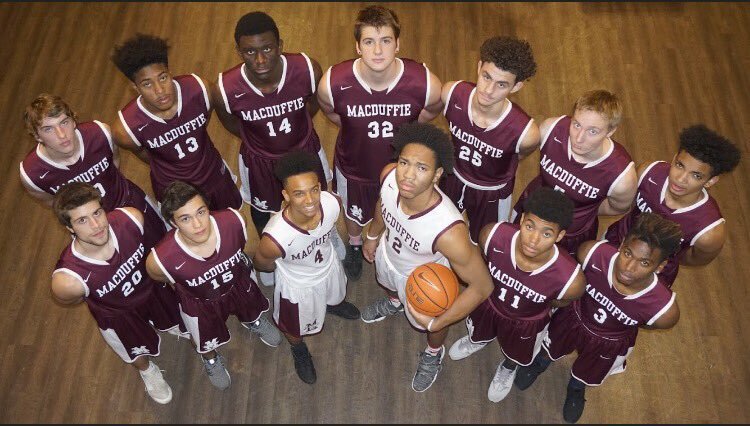 It is very possible that when we look back on the 2017-2018 season in Class AA of the NEPSAC five or ten years from now, we’ll say that the MacDuffie School had the most talented team. But there is a big difference between 15, 16, and 17 year old talent and18 and 19 year old talent. So yes, head coach Jacques Rivera has constructed a roster that is loaded with as many as five potential future high-major prospects, but the vast majority of that group is young and so this is a group that will likely have some growing pains along the way this year as they adjust to life in the NEPSAC. Class AA of the NEPSAC has a new contender this year as longtime AAA member South Kent has decided to move back a class. South Kent may not have a roster full of future high-major prospects like they once did but they are nonetheless still committed to basketball in a very big way and, under the leadership of head coach Bill Barton, project to be immediate contenders within their new classification. Barton returns his top two performers from last season in Malachi de Sousa and Anthony Nelson, who are committed to Albany and Seton Hall respectively. De Sousa’s junior year was really a coming out party for the New York native as he was productive from start to finish and as reliable a player as South Kent had on their entire roster. ...Now in his 24th season at the helm of the St. Andrew's program, Hart has had a storied career, not just in terms of wins and losses but also because of the work he has done to be an advocate for NEPSAC coaches. He coordinates the NEPSAC finals ever year and has more New England titles to his name than all but one other coach in AA. In short, he knows what it takes to win it all and believes his group still has a ways to go. There are still reasons to be optimistic though. AA appears wide open this year and Hart has a lot of weapons at his disposal to mold and connect over the next three months. The individual improvements made from each player are especially obvious in the class of 2019 where six players return from last year’s team. Mitch Doherty is one of the smartest frontcourt players in New England, regardless of class. He’s very skilled, an excellent passer, and able to facilitate for his teammates from various spots on the floor. Also in the frontcourt, Michael Rabinovich has stretched his frame out to 6-foot-9 and really turned a corner in the last year.